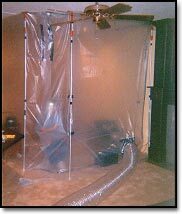 Trinity - Vac Systems (TVS) specializes in the remediation of mold contaminated surfaces like ceilings, walls, carpet, attics etc. for residential and commercial buildings. We follow the most current industry standards to protect against cross contamination.